A much-loved and admired member of the a-n team, digital manager Eleonora Schinella died on 5 August after suffering from a rare bone tumour. She will be greatly missed. Eleonora Schinella, a-n’s digital manager who has died after suffering from the rare bone tumour PEComa, was a highly valued and much-loved member of the a-n team. Her intelligence, enthusiasm and can-do spirit, combined with a deep sense of fairness and humanity, ensured that she made a lasting impression on those she worked with. She will be greatly missed. 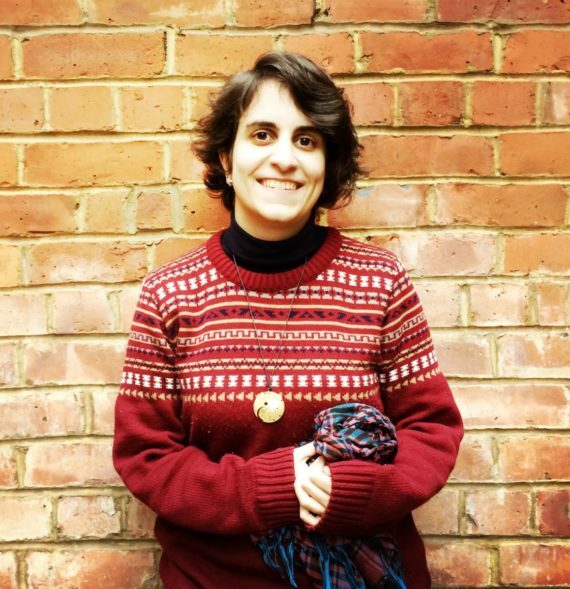 Eleonora first became involved with a-n in 2009 on a student placement while doing an MA in Arts Policy and Management at Birkbeck, University of London. Her role was to analyse the content of our user-generated reviews section – at the time known as Interface – a task she tackled with rigour and curiosity. One outcome of this work was a beautifully observed essay for a-n Resources titled ‘Stars and monsters in the infinite archive’ which, reflecting her enquiring, sharp mind addressed the shifting sands of archive creation and management in the Web 2.0 era. Recognising her analytical talents, following her placement Eleonora was invited to join a-n as a permanent staff member. At first she was part of the organisation’s communications and sales team before becoming campaigns researcher and latterly digital manager. She described her work as a ‘form of wizardry’, a view which seemed to reflect the humble yet focused way she went about her job. Widely read with a cultured love of the arts, Eleonora grew up in Cordenons in the north east of Italy, moving to London in 2005 to study BSC Anthropology at the London School of Economics. She graduated in 2008 with a first-class honours. Eleonora’s time at a-n was a period of growth and new initiatives as the organisation expanded its digital presence and attracted new members. She was an important part of this success, her steady but passionate input earning her respect and friendship from her fellow a-n team members. We will all miss her thoughtful contributions, good humour and generous smile. A memorial event for Eleonora will take place on 8 September 2018 at the Shaw Library, LSE, London, 3-5pm. You can register your attendance via Eventbrite.